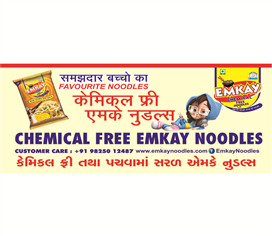 What a great product.... Emkay Chowmein.Emkay Chow is Pure and Original Thai/Malaysian Noodles.Chemical Free. No preservatives or No colors added. No Additives. Nothing. 100 % CHEMICAL FREE. AND VERY EASY TO DIGEST. Only 100 % pure. Best in Digestion. Best in everything. 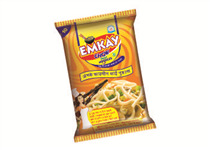 Emkay Stick Chinese Hakka Noodles is Pure & Natural Chinese Hakka Noodles. Chemical Free. Preservatives Free. 100 % Natural Chinese Hakka. Chilly And Soya Sauces Has been added into 300g Pack. Known As Emkay 300 gram Red Chinese Hakka. 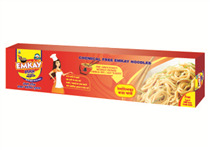 Emkay Stick Chinese Masaledar Noodles 300g : Available in Orange Colour Box. This Is Pure Chinese Hakka Noodles, Naturally Prepared. Chemical Free. Easily Digestible. This is launched after having requirement from people. 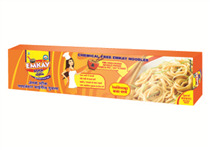 People asked us to put this in market and now it is available with Special Natural Noodles Masala pack. 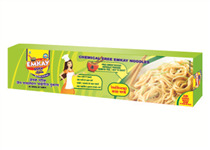 Emkay Stick Chinese JAIN Masaledar Hakka Noodles 300g : Available in Green Colour Box : NO ONION, NO GARLIC. Chemical Free. Naturally Prepared Pure Chinese Hakka Noodles. This product is also launched after the demand of JAIN people. 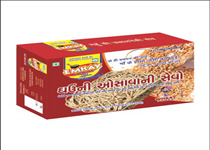 Special JAIN Masala is available with this pack. Taste of Jain masala is so great that even non jain people also feel better to use this pack. 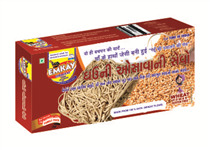 Emkay Gehuki Ubalneki Sev Means Ghau Ni OSAVANI SEVO in Gujarati. Just Boil In Water. Remove Water And Add Ghee & Sugar OR Ghee & Jaggery(Gud). Enjoy The Great Taste. This Is A Unique Product. People Used To Make At Home In Ealier Times. Made WIth 100 % Wheat (Atta). No Chemicals. No Preservatives. Look As Per Noodles, But TAste As Our Mother Prepared in Ealier Times. 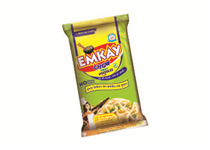 Emkay Premium Green JAIN Chow Thai Hakka Noodles Is Best in Digestion. Chemical Free. Chowmien is generally available in 5 Star, 3 Star and 4 Star Hotels. 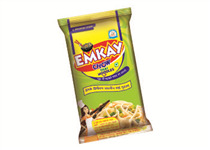 Everybody is not going to enjoy this taste at hotels, But Emkay has made easy for you to make it at your own home. Just Enjoy. 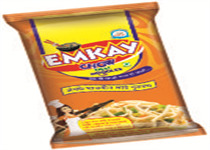 Emkay Premium JAIN Chow Thai Noodles 200g Green Colour is Premium And Costliest Chow. No Need To Say Anything for this. Of course, This Is CHEMICAL FREE and EASY TO DIGEST. 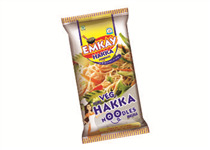 Emkay veg.Hakka Noodles Is Made As Per Indian Demand of Hakka Noodles. 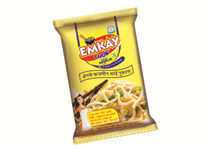 Emkay Has Given This Product @ 20 For One Year. No One Can Give At This Rate. Shortly, In Few Days,It Will Be Rs. 30 So GRAB This Offer As Early As Possible.